You'd be hard-pressed to find a better batch of cats than these. 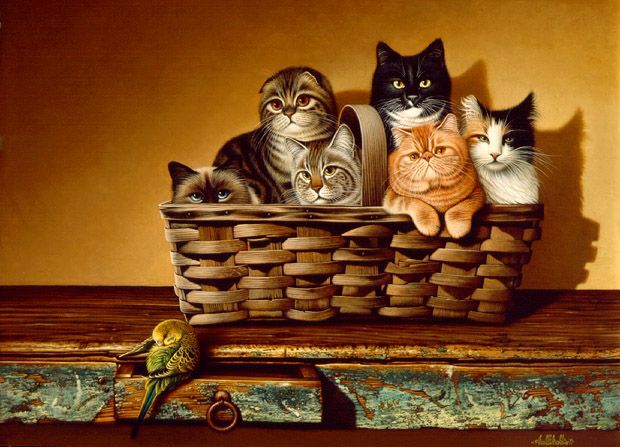 A red Persian tabby, long-haired calico, "black and white tuxedo," short-haired tabby, Scottish fold and Burmese are all huddled inside that charming Shaker basket. Their reactions to the parakeet are as varied as their appearance--everything from fascination to longing to "Give me fish any day!"